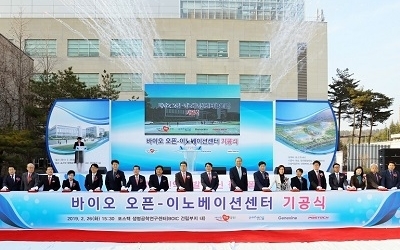 As a leading research university in science and technology, Pohang University of Science and Technology (hereinafter referred to as POSTECH), aims to contribute to the advancement of the nation and human society in general by undertaking education and research in the most advanced and in-depth theories and applications of science and technology, promoting collaboration with industry and research institutes, and by producing creative manpower. (1) POSTECH provides an Undergraduate Program, a program for master’s degrees (hereinafter referred to as the “Master’s Program”), a program for doctoral degrees (hereinafter referred to as the “Doctoral Program”), and an integrative program combining the Master’s and Doctoral Programs (hereinafter referred to as “Integrative Program”). Regulations for graduate school programs are stipulated under the Graduate School Regulations. (2) POSTECH has ten academic departments: Mathematics, Physics, Chemistry, Life Science, Material Science & Engineering, Mechanical Engineering, Industrial Engineering, Electronic & Electrical Engineering, Computer Science & Engineering, and Chemical Engineering. The School of Environmental Engineering in graduate school is run as an interdisciplinary collaborative program. (3) POSTECH operates the School of Humanities and Social Sciences for education in the humanities and social sciences. (i) Auxiliary Bodies: Academic Information Center, Center for Innovative Teaching & Learning, General Service Center, Central Machine & Facilities Shop, Venture Business Incubation Center, POSTECH Newspaper. (2) The organization and operations of the above auxiliary bodies and research institutes are stipulated separately.